When it comes to skincare, so often it feels like it’s directed towards women. Sure, men get shaving products, but not much in the way of actually taking care of their skin. Well, that’s all about to change. Essential oils can help with a wide variety of masculine skincare concerns. 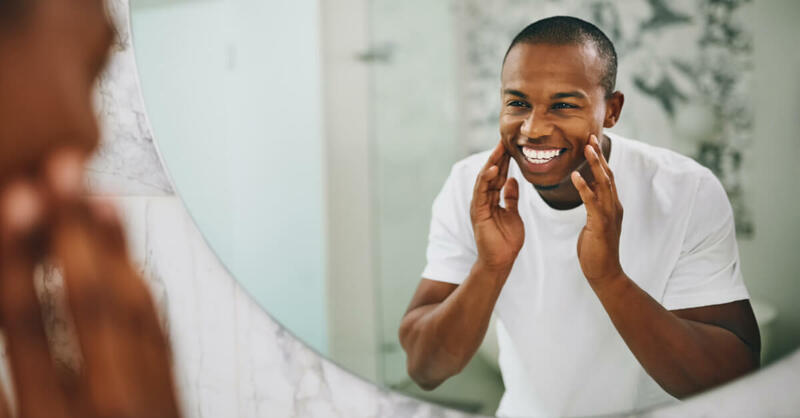 After all, men deserve smooth, clear skin too! So let’s take a look at some of the best products that men can add to their skincare regimen. While washing your face with a cleanser (or even just a good old fashioned bar of soap) might be the bare minimum for skincare, it definitely shouldn’t stop there. Adding toner can help balance excess oil and clear out pores. There are several different varieties of hydrosols that can help with specific concerns. Helichrysum and Rose help balance the skin by reducing facial redness or dryness. Or go for Melissa and Tea Tree to promote healthy skin, especially for those who are prone to blemishes. Just spray some on to a cotton ball and apply to your face. Using a moisturizer is the key to making sure your skin stays smooth and hydrated. Plus it’s the perfect opportunity to use essential oils to combat specific concerns. However, some of the go-to oils may not be the ideal choice for men (Rose Absolute, anyone?). However, there are many excellent choices for skincare that also have a masculine aroma. Sandalwood, with a rich woodsy aroma, can help with oily skin and reduce blemishes. Frankincense Frereana is also well known for its ability to reduce the appearance of wrinkles, scars or damaged skin. Bergamot supports skin struggling with acne, blemishes, irritations, and dryness. Cedarwood Virginian, a popular choice for its masculine aroma, can help combat excess oil. Myrrh, a relative of Frankincense, is another resinous oil that helps issues such as redness, wrinkles and scars. To create a personalized moisturizer, start by choosing the right carrier oil for your skin type. (We have an excellent post to help you make the right choice). For facial applications, we recommend a dilution of 1%, which is about three drops for two teaspoons. 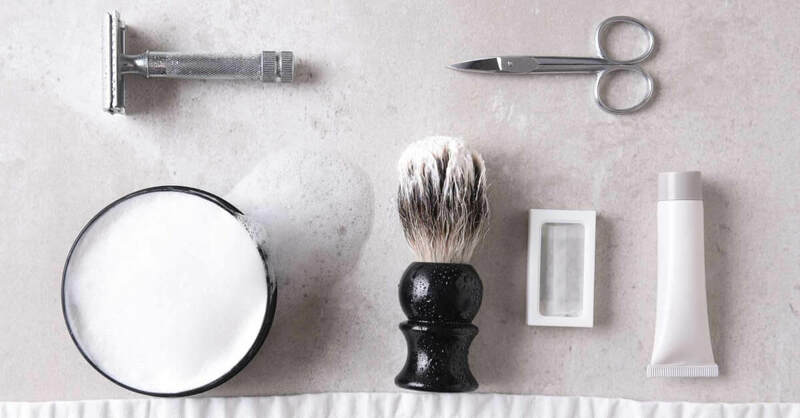 Let’s not forget one of the most important reasons to moisturize… a close, smooth shave. Check out this amazing DIY for a Pre-Shave Oil that can be used in addition to a moisturizer. What would a good skincare regimen be without quality, moisturizing shave cream? Luckily, we have just the DIY for that. The Manly Fresh Shave Cream is all natural and packs many skin nourishing ingredients. Get the moisturizing benefits of Shea Butter, Mango Butter and Jojoba Oil and the fantastic aromas of Eucalyptus and Fir Needle. And finally, we have aftershave! The perfect way to add a fresh and clean fragrance to your skin after shaving. Try whipping up this Earthy Clean Aftershave. 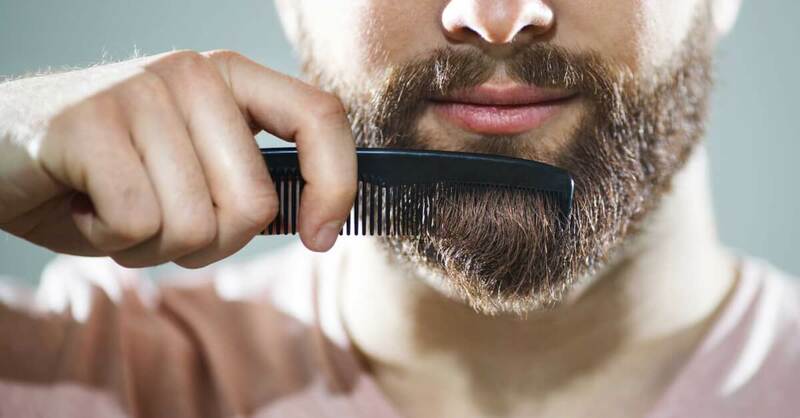 If an alcohol-based aftershave is too drying or irritating, try using the same essential oils in a carrier oil or use a plain carrier or Aloe Jelly to soothe the skin after shaving. For those gentlemen that prefer the bearded route, there’s plenty to keep the beard tame and groomed. Plant Therapy offers an all natural Beard Balm that helps keep those hairs soft, healthy and in place without being weighed down. And don’t forget about the Beard Oil! Available in two fragrances, Urban Fresh or Smokey Lumberjack, it helps tame the frizz while promoting healthy skin. If you prefer the DIY route, we’ve got you covered. The Bodacious Beard Balm is moisturizing and helps tame those unruly hairs, all while smelling fantastic. If you’re on the lookout for more ways to incorporate essential oils into your everyday life, make sure to check out Facebook group, Safe Essential Oil Recipes (SEOR)! I’ve been making these types of products with essential oils for my husband for some time now; he loves the foaming shaving cream and shea butter facial cream that I make especially. Nice to read up on some new ideas. It’s great to find all the info about the essential oils for men in one place. Thus, I don’t have to guess which one could be fit my husband. Thx! My husband has been so excited by these recipes! I am making him a basket of goodies for birthday!! I can’t wait!! The Bodacious Beard Balm DIY link doesn’t work. Says not found. Can someone please fix it as I would love to make some for my boyfriend. Thanks PT. I checked the link and it worked for me. But I updated it just in case. If you’re still unable to access it, let us know and we’ll get you that DIY recipe! Love this blog about skin care for men. I am excited to try to make some of these products for my boyfriend. I am glad to see a DIY focus for men and not just women. I can’t wait to pick up the beard balm for my brother for his birthday next month. He’s been using a very expensive oil blend from another company and I know he will appreciate trying plant therapy’s product. I will update on his opinion! This will be my project this weekend! My husband will be thrilled! I love that this is available for Men. My husband has a beard and the fact that he can make it softer is so awesome! Great diy’s for the men in our lives! Thanks for this post. Can you fix the Beard Balm link? It isn’t working and I would love to make some! Thanks! wow!!! very impressive! thank you for all this information! My husband has jumped on the oil cleansing bandwagon with me, and likes the lavender and frank I added to his serum. I’m looking forward to making him some beard balm as soon as he uses up what he has. Hmm, I wonder if my boyfriend would use these if I made them for him. He uses other things I’ve made for him, but not consistently. I might have to find out :). This is great, I’ll have to share with my boyfriend! My husband would benefit from using a toner. I think I’ll try making one with my PT oils. Thanks for the idea! Thanks for these ideas! Will try some of them out. I need to make some of these for my husband! He loves oils but I’ve never done any DIY men’s skin care anything. Thank you! These are great! Never thought about making shave cream before. Thanks for the tip! Gonna give the aftershave a shot for the son & hubby! Thanks! I honestly never really thought about oils for my hubby’s self-care…he mostly uses what I had to him when he’s sick. 🙂 Thanks for the article! My husband isn’t a fan of Essential Oils but does use tea tree for blemishes, but will get him to try bergamot or sandalwood as alternatives. Thanks the blog. I’ve been looking for some good masculine diy ideas!! I have a house full of boys, well some are old enough to be called men, and these are great ideas to make for them!! Im so glad I found this article. I found out that the website also sells aloe vera jelly. I was looking for that for my deodorizing blend.